Productive employees are an essential part of any well-functioning business. It’s no surprise that ‘switched on’ staff provide businesses with an enormous potential to increase efficiency, deliver value, and ultimately, drive profit. What is surprising, however, is that this potential is far from what it could be with the EY Pulse finding that 85% of Australian workers could be more productive. Simply put, lost productivity is costing Australian businesses money – about $305 billion every year, or an alarming $26,300 per worker. The solution? 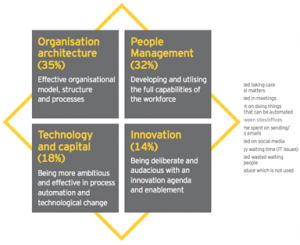 … “Organisations need to get clarity around what constitutes genuinely competitive work, declare a war on waste and engage their workforces to motivate people to make a discretionary effort”. By taking proactive steps, businesses will be well placed to unlock and capitalise on the potential of its workforce. Ernst & Young 2013, The Ernst & Young Australian Productivity Pulse Wave 4 – May 2013: Reaching Our $305 Billion Productivity Potential, accessed 19/5/2014,http://www.ey.com/Publication/vwLUAssets/Reaching_our_305_billion_productivity_potential/$FILE/Productivity_Pulse_May_2013.pdf. 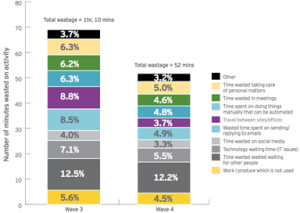 While total time wastage per day has decreased considerably since the last iteration of the EY Pulse, businesses are reminded that there is still a long way to go. That is, businesses should avoid becoming complacent simply because productivity has increased since last year and should refrain from developing a mindset that the current circumstances are ‘as good as they will get’. Time-wasting activities occur in all businesses, regardless of their industry and notwithstanding that a business may already be turning over healthy profits or seem as though it is functioning well. They should not simply be viewed as a problem, but as an opportunity to unlock further productivity. To become more ‘productive’ businesses often turn to drastic forms of cost cutting such as redundancies, which may not be sustainable and can result in “diminishing returns”. Instead, the EY Pulse encourages businesses to take a strategic approach and “Declare a war on waste” . Essentially this means looking at your business through a “waste lens” and identifying those activities, which do not add any underlying value to your business. In many cases it will help to focus on the smaller processes and procedures, which may have been carried out for some time without review. It is also important to view activities honestly so as to objectively determine their value. Ultimately it is about business owners questioning the way things are done and continually asking ‘is that really productive?’. Once identified, time-wasting activities should be eliminated or at least minimised. 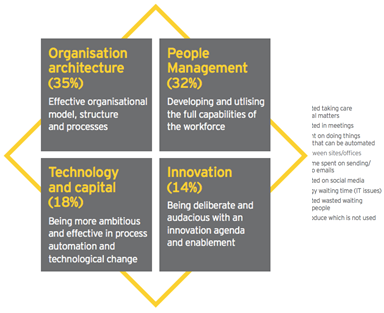 Interestingly, the importance of investing and developing in organisation architecture and people management was emphasised, rather than technology and capital or innovation. The emphasis on people is consistent with the observations of business commentators, for example, well-known business author, Ken Blanchard, who states “The productivity of a work group seems to depend on how the group members see their own goals in relation to the goals of the organisation”. Motivating employees so that they are ready and willing to perform their role is key. At Succession Plus, we also understand the value of people and offer a range of products to tackle productivity related issues, such as employee share ownership plans (ESOPs). Succession Plus has also enjoyed considerable success with our clients who implement Ownership Thinking – a management model to improve business performance, maximise value and encourage employee engagement an involvement. The key to ownership thinking is its ability to get your staff to think and act as business owners through education, being transparent, building trust, gaining their commitment and sharing meaningful financial rewards via an incentive plan that is funded through improved business performance. The incentive plan can be a straight cash bonus, equity based or a combination of both depending on what best suits you and your staff. To learn more about Ownership Thinking and how it can be utilised to boost productivity in your business please contact Succession Plus or visit our website – www.successionplus.com.au. 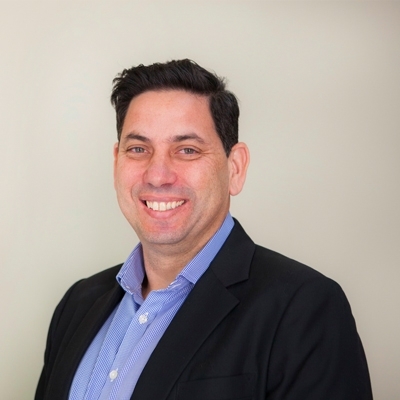 Wayne Mandic is a seasoned business consultant whose years of experience and knowledge have been instrumental in unlocking the entrepreneurial capabilities of small and medium sized business owners.